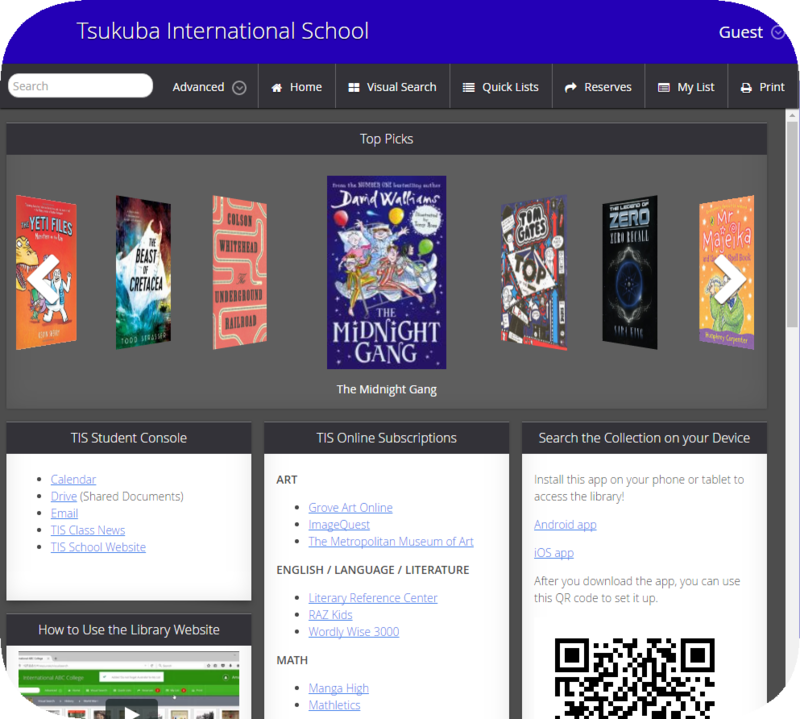 Tsukuba International School has an extensive library of books for both students and teachers. There are currently around 10,000 volumes in our collection. All students are given library accounts and can borrow books and other resources from our library. Our library includes the following resources. Newspapers and magazines, such as Japan Times, New York Times, Aesthetica, National Geographic, Time, etc. Online databases, such as Encyclopedia Britannica, Explora, Oxford Art Online, etc. Official school documents, such as student schedules, school policies, etc. Our library collection can be searched through our public catalog: library.tis.ac.jp.